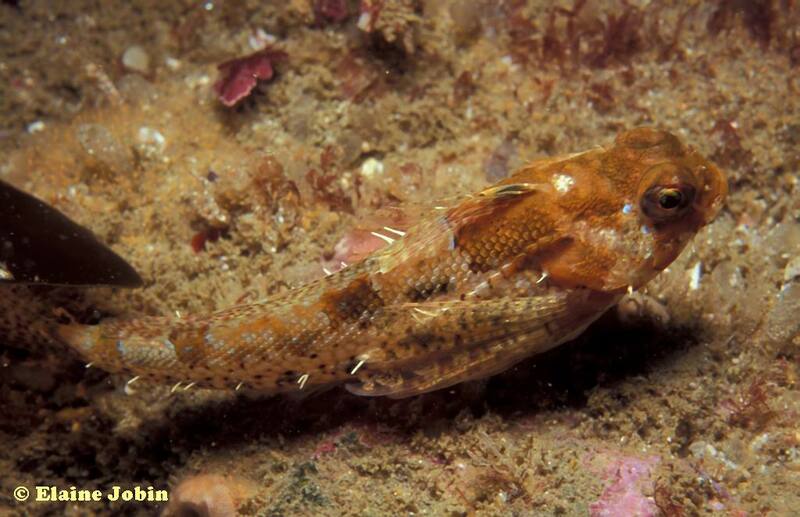 I like this picture of a Snubnose Sculpin Orthonpias triacis Elaine Jobin took at Nic last weekend. I have never seen one of theese. The things hanging out the side look like ribs sticking through the skin, but my fish id book says they are part of it's scales.